This is a direct-fit replacement for your Creative Labs / Nomad Jukebox MUVO2 Battery. CREATIVE, a well-known industry leading battery manufacturer, presents the JUKEBOX MUVO2 battery replacement. Manufactured using state-of-the-art equipment and the best materials, the JUKEBOX MUVO2 is the best choice at the best price. It has also been guaranteed to equal or out-perform CREATIVE's original specifications. 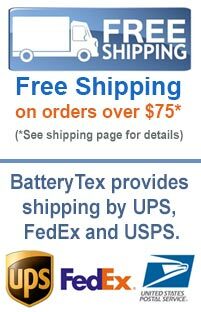 When you need quality batteries at bargain prices then look no further than BatteryTex.com. With thousands of batteries to choose from and extremely low prices you'll see why BatteryTex is your one-stop-shop for replacement batteries. BatteryTex (M-Tronics) is a family-owned battery supplier since 1977. Give us a call with any questions or for information on bulk discounts - 1-888-825-6661. Click here to find other Mp3 - iPod Batteries batteries. View our great selection of items for products by CREATIVE. With lower costs, better materials, and greater efficiency, batteries now offer more bang for the buck. Most all of our batteries have a one year warranty unless otherwise specified. Please feel free to contact us for actual battery warranty information.